Consumer expectations from their healthcare providers are changing at a rapid pace. At ribot, we’re passionate about designing digital and physical experiences that will help people live simpler, healthier and easier lives. According to research by econsultancy in 2017, only 6% of health and pharma companies describe themselves as digital-first, compared to an average of 11% across other sectors. There has been a huge transformation in the health insurer and healthcare market. There are many start-ups and technology providers playing a key role in the sector. Healthcare has also opened its arms to design-led thinking, with many using the methodology to design improved experiences and solve problems within the complex healthcare landscape. Design by humans for humans to create positive change. In this article, we’ll explore some of the key innovations and digital experiences in the health sector. Can you imagine your healthcare provider always being available, being able to continuously collect data from your body about your DNA, biometric outcomes, nutrition and activity? For users of fitness and health tracking technology, it’s easy to imagine. Increasingly, consumers are tracking their health and fitness using technology. Pharma and Health companies need to be prepared for patients/customers that are digitally aware and have their own expectations around healthcare management. In addition, encouraging prevention of disease is better than cure. Empowering people to manage their own health via technology could help prevent disease before it occurs. This will be increasingly important as the population ages. The Office for National Statistics forecasts that by 2041 the number of people aged 85 and over in the UK will double to 3.2 million. There has been an explosion of mobile apps and wearables that let you manage your health. Popular apps like exercise trackers mapmyrun, Strava, runkeeper and the Nike+ running club have millions of downloads. Consumers can manage their diet via nutrition trackers like the ever popular myfitnesspal. Wearables like the Fitbit & Apple Watch have also encouraged fitness and health management. Apple recently announced at their WWDC conference a new initiative to ensure customers aren’t using their smartphones too much. The new feature is designed to show people how much time they are spending on their phone, so they can limit use. Google recently partnered with Fitbit to make it easier for doctors to access wearable data. 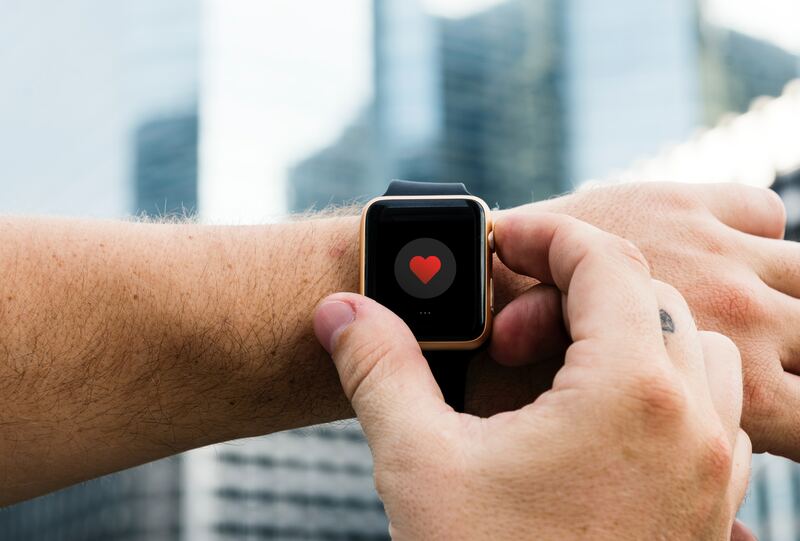 Patients are increasingly aware of their own health, as well as fitness and diet tracking, users are willing to manage things like sleep patterns, ovulation, pregnancy, medication, and other health indications via digital, including checking their own symptoms. A few years ago, ribot partnered with Your.MD to design a symptom checker that helped put a doctor in every pocket, providing safe health information from NHS Choices. Your.MD were awarded the prestigious UNESCO/Netexplo Award for “innovations that can improve society” for this work, past winners include Twitter, Airbnb and Spotify. Technology is empowering consumers to meet their health goals from home or on the go - even in places outside of a clinical setting. The instant availability of information and the ability to track data is ensuring that customers are increasingly familiar with researching and managing their own information on health and keeping informed of progress. Healthcare providers and insurers will need to empower users on an ongoing basis, both to assist in disease prevention and to meet the ongoing expectations of users. Digital health could help in early disease prediction that would lead to behavioural changes and enhanced treatment plans. This could potentially have a better healthcare outcome for many. Design thinking and behavioural economic principles can be used to provide nudges and customise interactions to keep track of medication or modify diet based on a person’s unique condition or disease. The advancement of AI can help in confirming a diagnosis and improving treatment. VR has also being used to experiment in the areas of mental health management. Today both governments and private sector companies are working on major initiatives to better understand, and ultimately treat, various diseases & conditions from autoimmune disorders to obesity. Leading the field in this sector have been IBM Watson and Google DeepMind. Google DeepMind Health is committed to working with those on the frontline of healthcare to build solutions to healthcare problems. They are already working with hospitals using mobile tools and AI to help patients get from test to treatment as quickly as possible. They have partnered with Imperial College London to work together to improve the detection of breast cancer and with Moorfields Eye hospital to develop a machine learning-based system that can recognise sight-threatening eye diseases, increasing the speed of diagnosis. An app called ‘Streams’ from Google DeepMind Health is currently used in the Royal Free London NHS Trust. It is said to be saving nurses 2 hours per day, meaning they can spend more time with those in need. The app brings together important medical information, like patients’ blood test results, in one place, allowing clinicians at partner hospitals to spot serious issues while they are on the move. Streams can allow clinicians to instantly review their patient's vital signs like heart rate and blood pressure, alerts get the right help. The idea of using therapeutic mindfulness as an alternative to treat mental ill-health has also gained popularity. Evidence suggests that it can be useful in treating anxiety, depression and Post Traumatic Stress Disorder (PTSD). 1 in 4 people will experience a mental health issue at some point in their life and it costs the UK economy billions every year. Cambridge University have reviewed over 285 VR research studies and concluded that VR has the potential to transform the assessment, understanding and treatment of mental health problems. 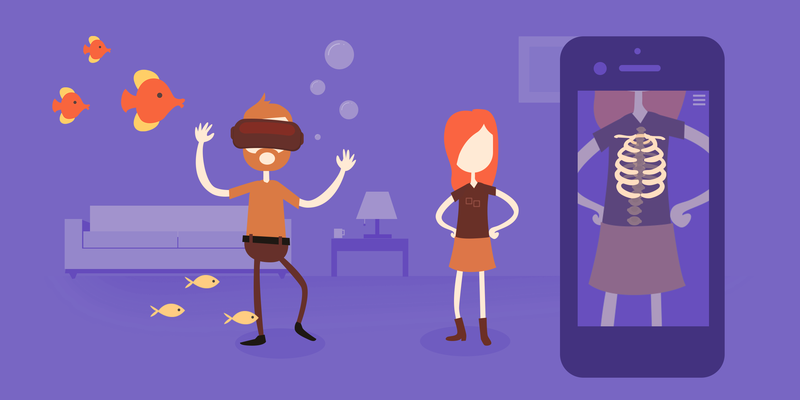 At ribot, we’ve been working on a mind-calming immersive VR prototype experience called 600 seconds. This is a VR interface experience that uses biometric data and contains an innovative visualisation of heart rate and breathing pattern combined with sound and music to help reduce the fight or flight stress response. Music, sound and meditation have all been scientifically proven to help us relax - we are weaving behavioural insight into the design. There are specific nudges that can be used to encourage both use and the effectiveness of the experience. Dr Jamil El-Imad, an inventor, entrepreneur and research fellow at London’s Imperial College, has invented the Dream Machine. 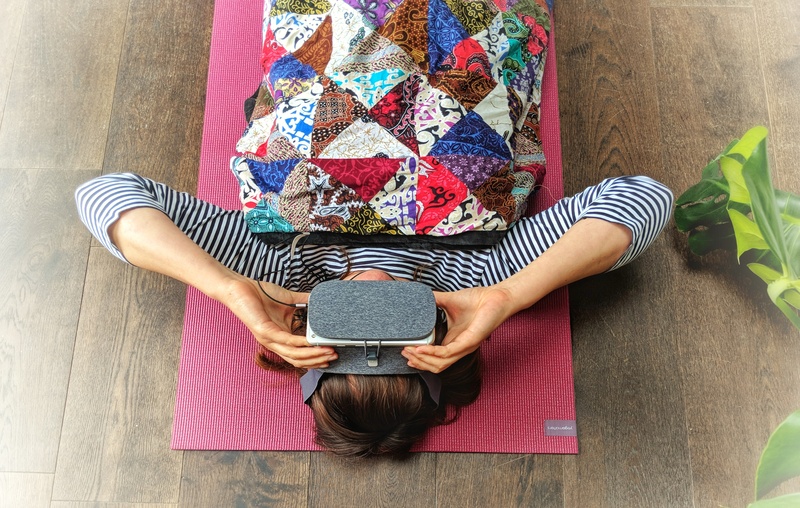 It’s an immersive VR experience for mindfulness training to help treat anxiety, stress-related disorders and phobias. A VR headset combined with a mobile EEG headset to monitor brain activity, along with other wearable sensors to monitor ECG signals, breathing patterns and any trace of physical activity. When the user wears the VR headset, closes their eyes and opens them, they’ll see icons for different experiences, which Dr El-Imad describes as ‘dreams’. Using the headset trains people to concentrate and focus on therapeutic mindfulness. Real-time connections between patients and access to electronic healthcare records. There is a need to increase the speed and efficiency of appointment and treatment bookings and to connect healthcare records, so that health providers have an overall view of a patient’s health and treatments from other partner/suppliers. There are many developments in this area already, which are helping give patients a better service. Nervecentre have been working with the NHS to launch a next-generation patient record system which launches in June 2018. DoctorLink is designed to improve the patient experience and free up GP time, by providing personalised medical advice and digital triage in an online tool designed for the NHS. 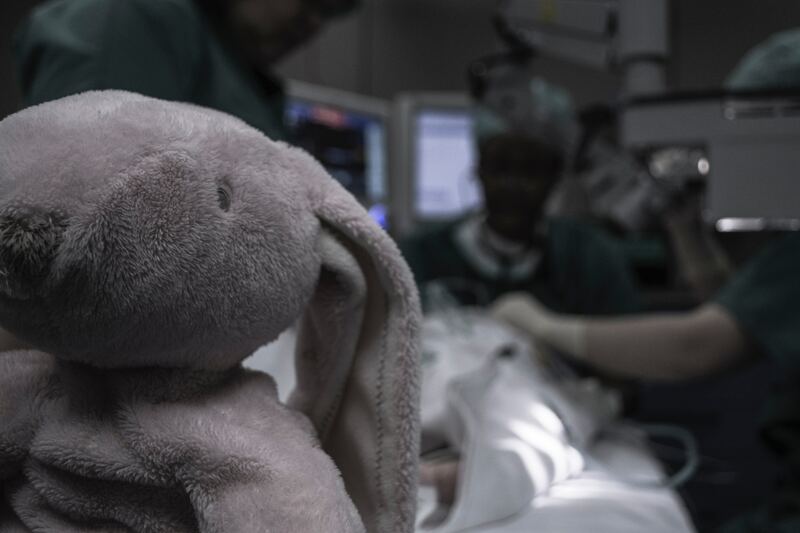 The London startup was founded in 2016 and has since been made available to 200,000 NHS patients across 14 surgeries. The platform aims to reduce surgery appointments by around 20 per cent, by digitising aspects of care and administration and matching clinical support to the level of patient need. Echo is a free app which allows you to order repeat prescriptions to your door. You just tell Echo what prescription you need and where your local GP is, it partners with NHS Digital to plug into the various systems needed to verify these details. The prescription is then delivered to the customer first class by Royal Mail for free. At ribot, we recently partnered with health insurer Vhi Healthcare to develop their mobile health assistant. Together with the team, we followed an iterative user-centred product design process. 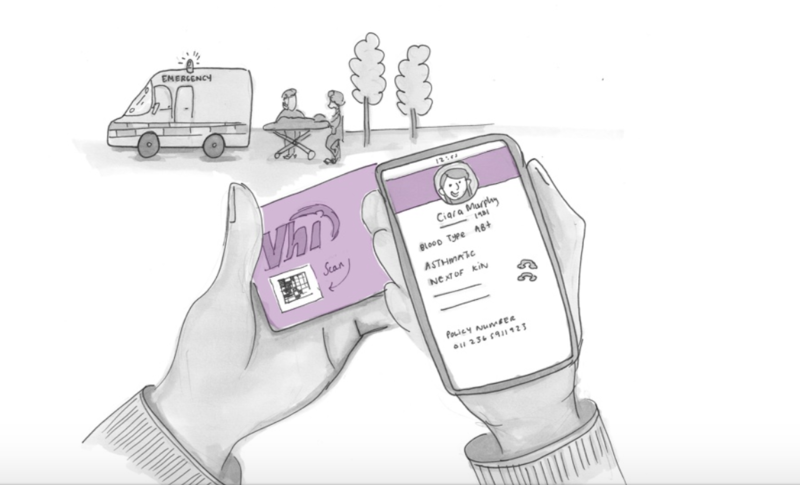 This enabled customers to gain easy access to their health and medical records with just one swipe. One of the benefits customers receive from their app, is the Online Doctor service, which allows customers to have a video consultation with a live doctor within minutes. The app also contains features that allow customers to gain easy access to claim medical costs simply. Apple announced at WWDC that they will be opening up their Health Records Service which lets users store their medical records on their iPhone. This will soon be open to developers and researchers and consumers can give access to third-party apps. We believe the options for customers will expand as technology interfaces become increasingly sophisticated. Allowing customers choice of types of appointment, virtual or in-person appointments and with easier payments online for healthcare services. Creating better healthcare experiences, improving productivity and reducing costs. Designing better experiences for users that are in need of healthcare is where our passion lies, whether that’s developing a beautifully crafted user interface or designing a digital and physical experience. We firmly believe that designers can help the healthcare industry deliver better experiences for those in need. Whether that’s how quickly you get to be seen by a medical professional, the level of information experts have access to, help with your diagnosis or actual physical experiences in a medical centre. Tech and design teams are already helping deliver better healthcare experiences. For example, IBM Watson and the Alder Hey children’s hospital have partnered to develop the Alder Play app which allows patients to choose a name and an avatar that helps them understand their hospital visit before they arrive for a procedure. It helps calm them during their stay. Great Ormond Street Hospital (GOSH) have also announced a partnership with Microsoft to transform healthcare using artificial intelligence. The hospital, working with academic partner UCL, sees computer science students use the latest Microsoft technologies to respond to healthcare briefs from GOSH. Microsoft and GOSH have also worked with Magic Light Pictures to bring the Gruffalo augmented reality app to the NHS - the app allows young patients to see the Gruffalo and his friends from the book come to life with interactive characters. The impact on patient experience will be analysed as part of the pilot and could be rolled out more widely in the future. Over the past few years, ribot have had experience of working with healthcare providers to help patients manage their symptoms and care more easily. We’ve been designing interfaces that impact the outcome for users. We use human centred design and sprint methodology based on GV sprints and behavioural insight throughout the design process, to create positive impacts, solving problems within complex environments. In the future, we see the impact of digital technology and human centred design improving things rapidly. The ribot design sprint is a product design process we use for generating ideas, validating assumptions and creating prototypes to test concepts with customers. Our team develop empathy for the people they are designing for, uncovering real human needs. We weave in powerful behavioural insight, resulting in better experiences. We can create a prototype within as little as a week. Our team guides others through this framework, inspiring those from different healthcare disciplines to express ideas and discover new innovative solutions. We believe if you put our own team of designers in your hospital or get us to look at your patient or user journeys, we’ll be able to use our behavioural insight, design skills and technical know-how to create a better experience. Design thinking in the healthcare experience also has the potential to alleviate time-consuming processes, bureaucracy and costs. Want to find out more about our design sprints?